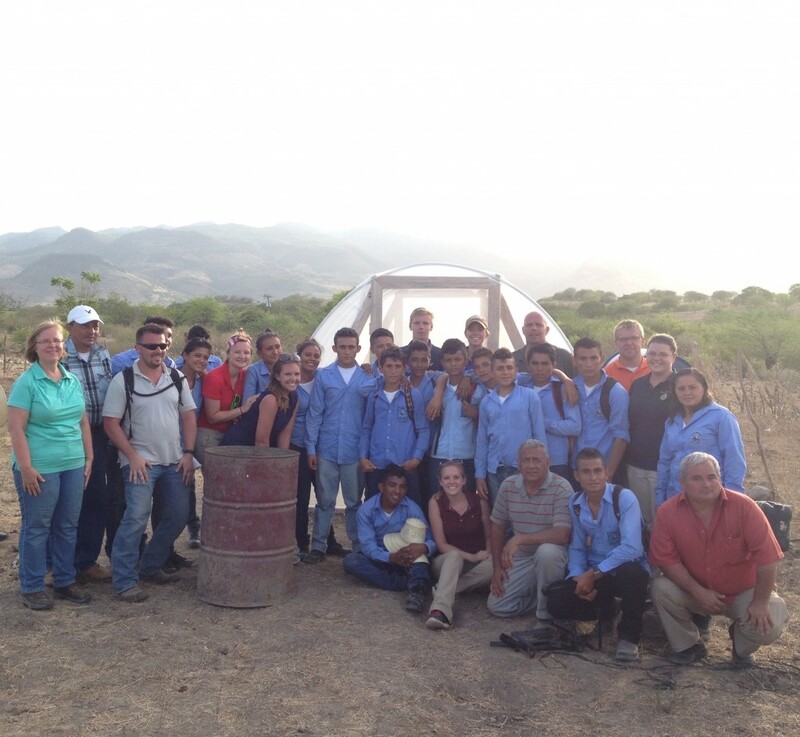 Eleven students, faculty, and staff from our Department are studying abroad in Honduras for the next two weeks. 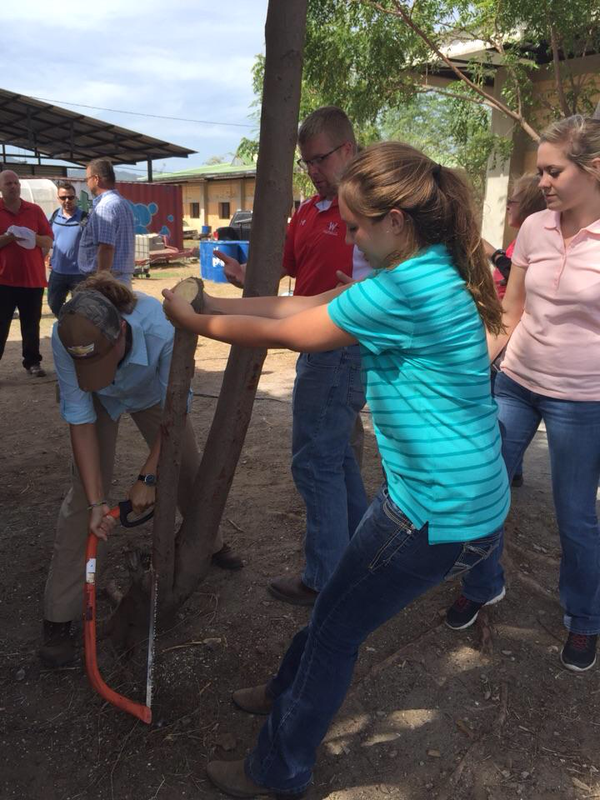 As part of this trip, students will be given an opportunity to learn about Honduran issues related to agriculture, education and international development through community outreach and education about agricultural needs and practices. A major project will be to create learning modules and work with local, Spanish-speaking instructors, to teach local residents how to create a community garden. You can follow along with their experiences by visiting the Honduras Study Abroad Blog at www.osuacelhonduras.wordpress.com. 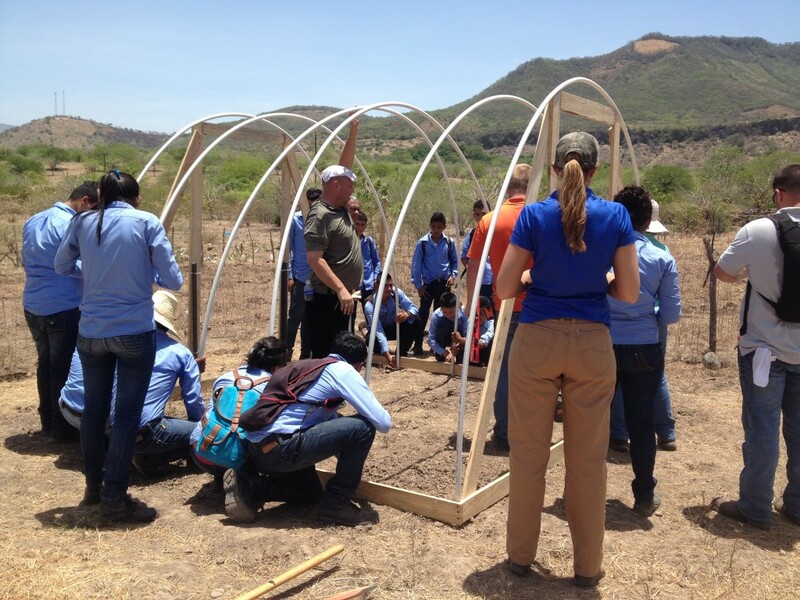 Students make a hoop house with an irrigation system. All of the students who built the hoop house. Students helped build a fence around the garden shed. After a long day of working, students enjoyed smoothies. 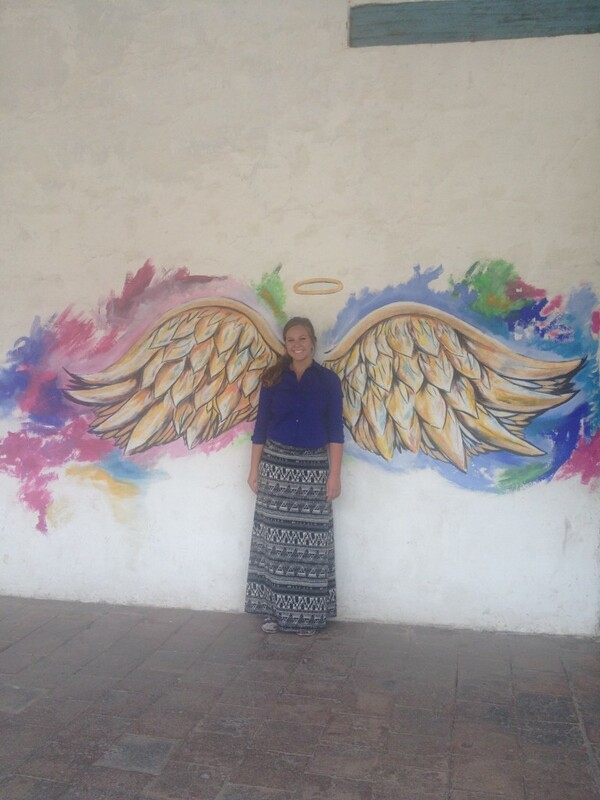 Emily poses with angel wings on one of the buildings in the city. 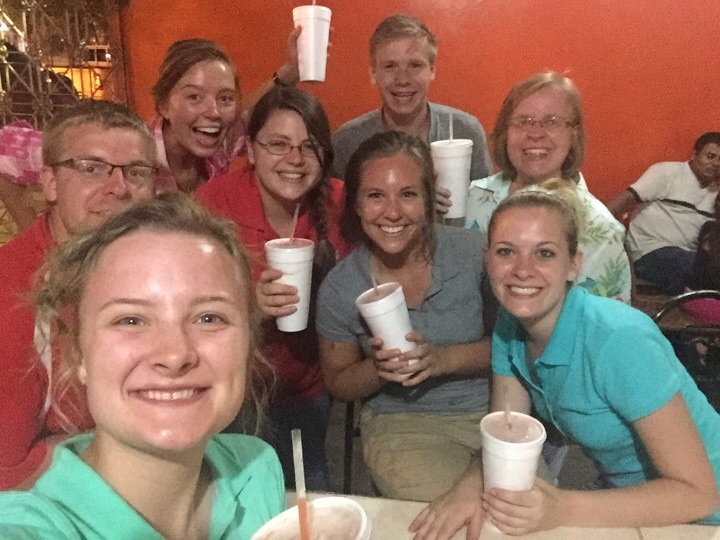 Follow along with our student study abroad group in Honduras. They’ll be blogging each day at https://osuacelhonduras.wordpress.com/. Agricultural Communication sophomore Miranda Miser was elected to serve as the College of Food, Agricultural, and Environmental Sciences (CFAES) Senator for the 2015-2016 academic year during the Ohio State Undergraduate Student Government (USG) elections in April. As a senator, Miser serves in the General Assembly which is to act as the student voice on issues pertinent to campus affairs, as well as to steer the direction of executive committees of the Cabinet. While committees have not been selected, Miser is interested in serving on the government relations and allocations committee. With her role as CFAES Senator, she is also required to serve on the executive committee of the CFAES Student Council. In addition to being a communicator between CFAES and USG, Miser is eager to work with other USG senators on passing important resolutions. Some issues that are very important to her include student safety, meal plans, sexual assault and affordability. Miser will be a junior studying agricultural communication in Autumn 2015. She is from Cumberland, Ohio. No new scholarships this week! Ohio 4-H Assistant at Ohio State Fair – Contact Allen Auck, 4-H Program Manager at auck.1@osu.edu if you are interested in working during the Ohio State Fair (July 25-August 1) as an Educational Assistant. Housing is available if needed. Stacie Seger, of Fort Loramie, Ohio was selected as one of 20 nominees to win the Outstanding Activities Award for seniors from the College of Food, Agricultural, and Environmental Sciences (CFAES) at The Ohio State University.This award recognizes students for both academic achievement and outstanding service through leadership within student organizations. 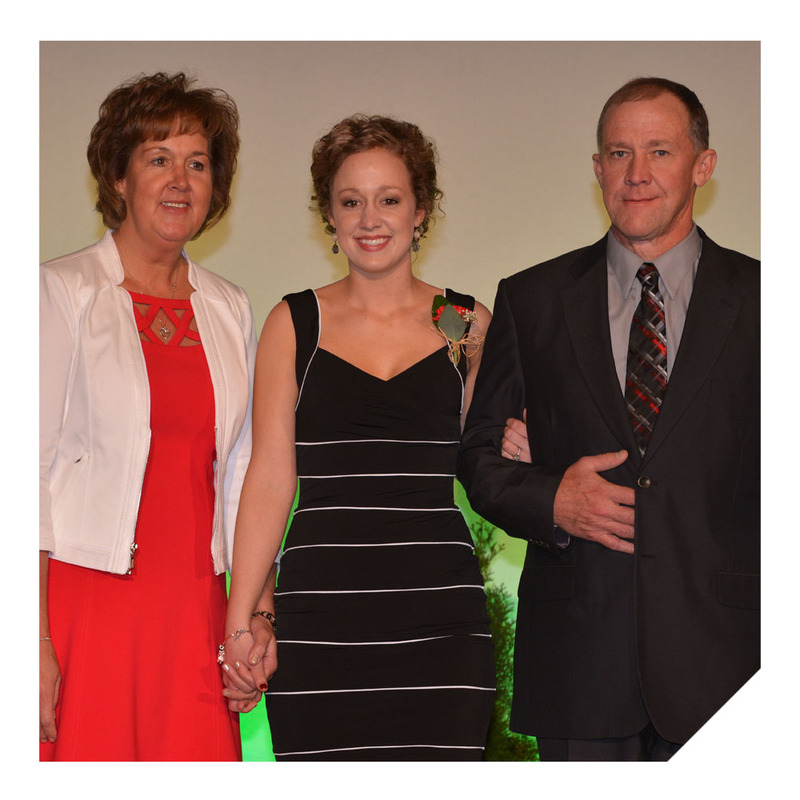 Senior Stacie Seger and her parents at the 2015 CFAES Annual Recognition program. Stacie, the daughter of Ken and Janice Seger, is a graduating senior in Agricultural Communication. 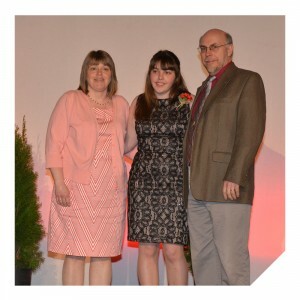 As an undergraduate, Stacie had a wide variety of experiences, including serving as a member of the Board of Trustees for the University, the vice president of CFAES Student Council and a CFAES ambassador. Following graduation, Stacie will transition from working part time to full time as the communication manager for the Ohio Corn and Wheat Growers Association. The Outstanding Senior Award was presented at the 2015 CFAES Recognition Banquet on April 16, 2015. Megan Moorman, of Xenia, Ohio has been selected as one of 20 nominees to win the Outstanding Seniors Award from the College of Food, Agricultural, and Environmental Sciences (CFAES) at The Ohio State University. Also known as Top 20 Seniors, this award recognizes students for both academic achievement and outstanding service through leadership within student organizations. 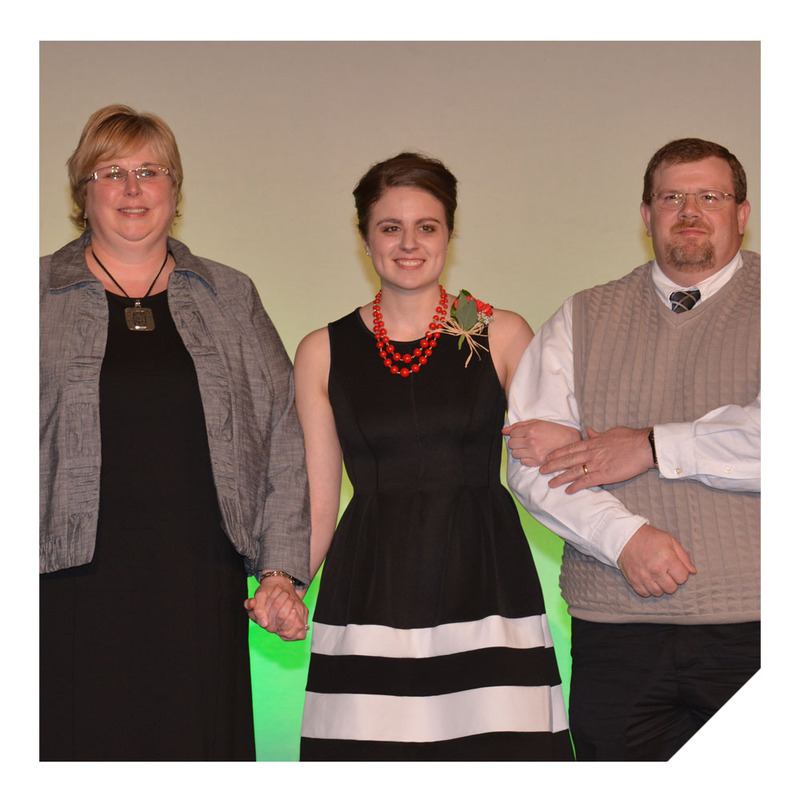 Senior Megan Moorman and her parents at the 2015 CFAES Annual Recognition program. Megan, the daughter of Dale and Jodi Moorman, is a graduating senior in Agriscience Education. 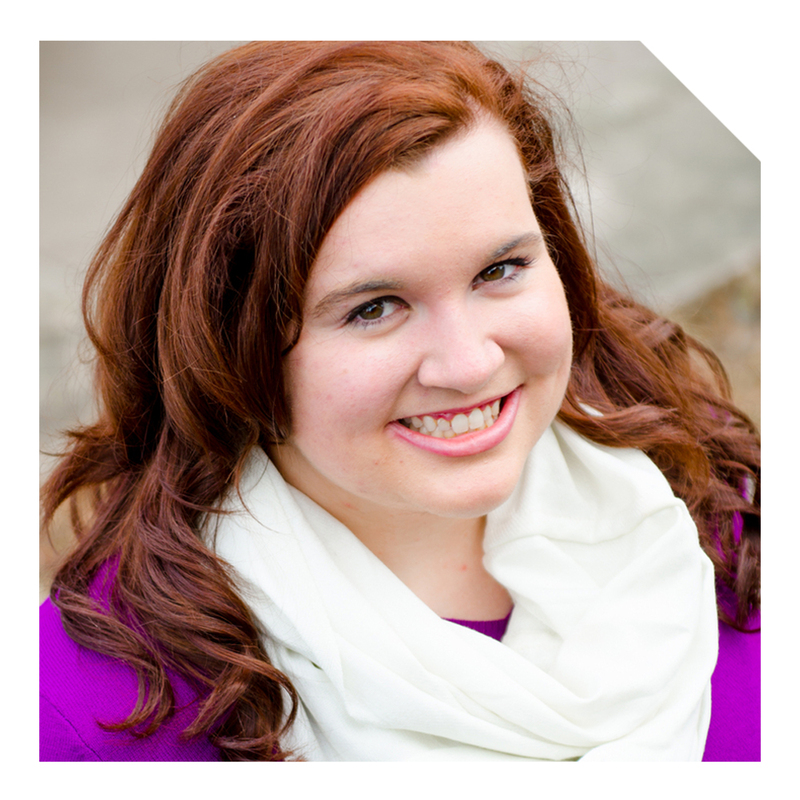 Megan has been involved in the Agricultrual Education Society and Aplha Zeta Partners Agricultural Honorary. She also served as a leader in both of these groups. Upon graduation she plans to teach high school agriculture at Westfall High School in Williamsport, Ohio. The Outstanding Seniors Award was presented at the 2015 CFAES Recognition Banquet on April 16, 2015. Erin Williams, of McConnelsville, Ohio has been selected as one of 20 nominees to win the Outstanding Activities Award for seniors from the College of Food, Agricultural, and Environmental Sciences (CFAES) at The Ohio State University. Also known as Top 20 Seniors, this award recognizes students for both academic achievement and outstanding service through leadership within student organizations. 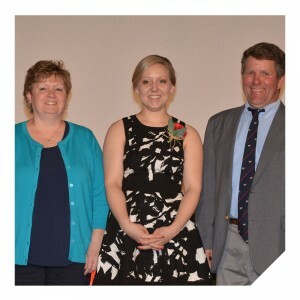 Senior Erin Williams and her parents at the 2015 CFAES Annual Recognition program. Erin, the daughter of Kevin and Darlene Williams, is a graduating senior in Agricultural Communication. Erin was a CFAES Ambassador, president of the Buckeye Dairy Club, and served on the Recognition Banquet Steering Committee. Upon graduation, Erin will be working for the Ameican Dairy Association Mideast in Columbus, Ohio as a communication specialist. The Outstanding Senior Award was presented at the 2015 CFAES Recognition Banquet on April 16, 2015. Michelle King, of Xenia, Ohio has been selected as one of 20 nominees to win the Outstanding Activities Award for seniors from the College of Food, Agricultural, and Environmental Sciences (CFAES) at The Ohio State University. Also known as Top 20 Seniors, this award recognizes students for both academic achievement and outstanding service through leadership within student organizations. Senior Michelle King and her parents at the 2015 CFAES Annual Recognition program. Michelle, the daughter of Henry and Charlene King, is a graduating senior in Community Leadership. Michelle was a member of the CFAES Ambassador Team, Alpha Sigma Upsilon sorority, Crops and Soils Club, Saddle and Sirloin, BuckeyeThon and the Ohio State Piston Club. Michelle also studied abroad in Ireland during winter break of 2012. After graduation, Michelle will be working as a communication assistant with Cooper Farms. The Outstanding Senior Award was presented at the 2015 CFAES Recognition Banquet on April 16, 2015. On Sunday, 43 students from the Department of Agricultural Communication, Education, and Leadership graduated with a bachelor, master, or doctorate degree. We would like to congratulate these students on this accomplishment and thank them for letting us be a part of their higher education and wish them much success in their future careers.